Connect, our newsletter, has been running since 2003 and features the latest in news, events and stories from the Encephalitis Society. It has continued to evolve as we have evolved and gives a snapshot of how times have changed over the past 20 plus years. 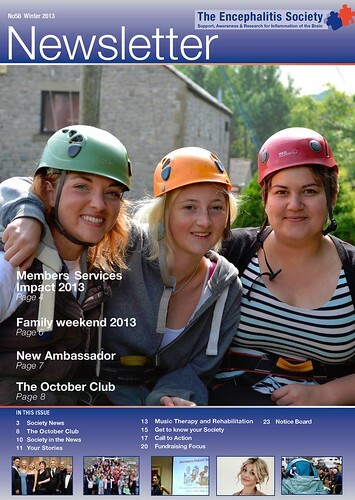 If you would like to receive our newsletter in the future, please become a member of the Encephalitis Society.